Required Forms: MV-9W Please refer to this form for detailed instructions and requirements. Former Military (Veterans, Retired): DD-214 required or in the case of a retired reserve member, you must furnish approved documentation supporting the current retired membership status from that reserve unit. Active Military: If you are an active duty member, a copy of the approved documentation supporting your current membership in the respective reserve or National Guard unit is required. 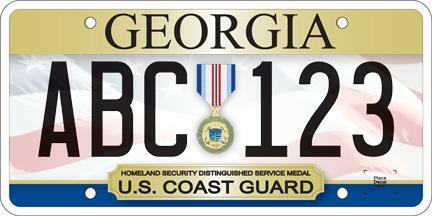 Only one additional plate issued. The ownership of this tag cannot be relinquished. Upon the death of the veteran, the surviving spouse may request/retain the tag provided they do not remarry. To request/retain the tag, a certified copy of the Veterans Death Certificate, Marriage Certificate and Form DD-214 are required.